Sunday Times's tweet - "Three ANC heavyweights named in report on City of Joburg's botched R1.2bn broadband project. | Find out who in the #SundayTimesZA tomorrow "
Sunday Times remember: your gutter journalism distroyed the character, career and reputation of a young raising star, Mr Collins Letsoalo, CEO of PRASA. As such, Sunday Times has no right to engage us! 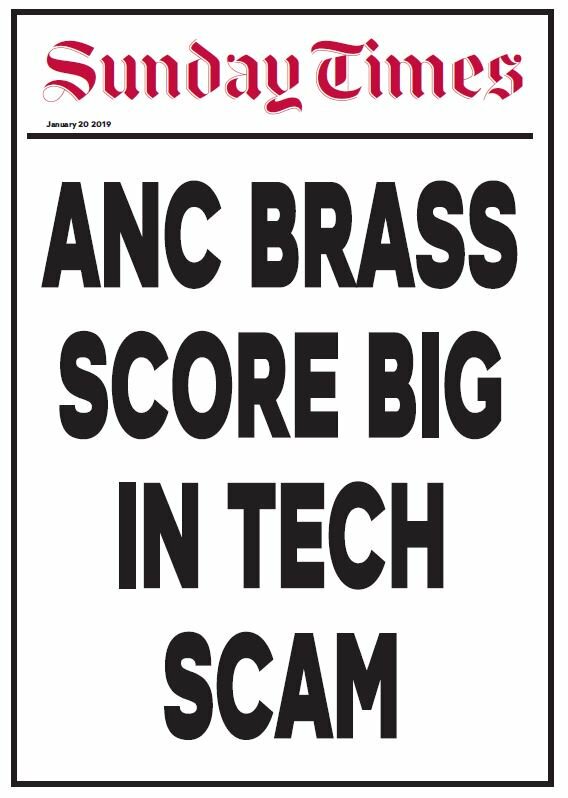 Stratcom has another catchy headline, be careful, they may be selling lies as always; Will never buy their fake news pamphlet again. South Africa think what 1.2 billion Rand could do for the poor masses, how many children could it take through to varsity??? Wake up and Rise !!! #WenaUlindeni #Oemetseng or questions MUST be answered!!! We actually don't care anymore hey. Idleni leyomali. Dlodlo, Maphatsoe and who? Titus Mafolo?